These marks are on a ring that I inherited form my mother. The ring originally belonged to my Great-Great Grandmothers sister. I would love to know the age and value of the ring. It is priceless to me but I would love to know the real story. 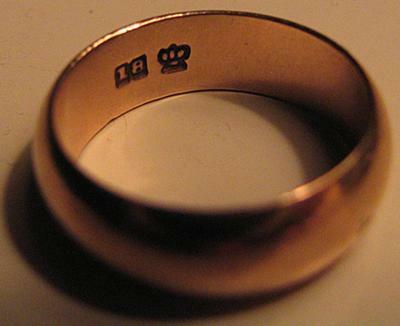 The ring is rose gold and the marks are 18 and a crown. Thank you for your help.